With both the ice hockey world and professional championships just concluding, we thought we would chime in on some sport for the first time on this channel. Firstly, we at Resistance Radio LOVE ice hockey. Why ice hockey, you ask? Besides being the fastest and most exhilarating game on earth, in our opinion, and the fact that our station's founder used to play competitively, ice hockey is by far the most European of this planet's major sports. In fact, it is fair to say that no other sport comes close. With more than 99% of the professional athletes taking part in professional ice hockey hailing from Europe or being of European origin, no other sport can boast such strong European roots! And the few black players in the game- typically hailing from strong family backgrounds due to the high costs involved - have conspicuously decided to avoid the racism-obsession and gender identity politics infecting most of the globe's major sports. 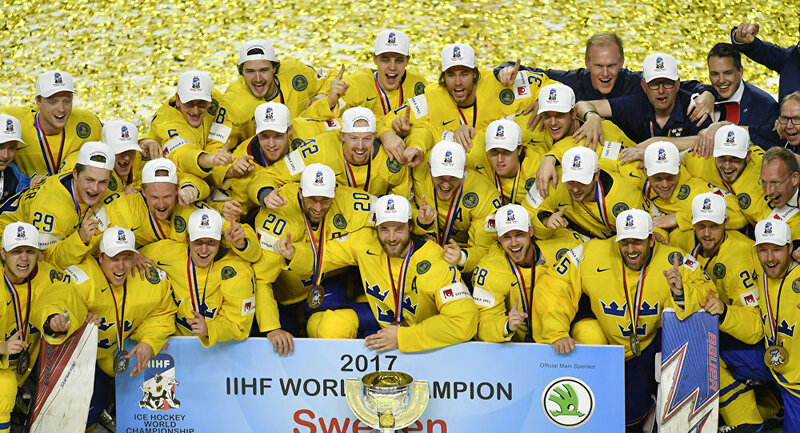 The fact that the sport's most prestigious trophy was donated to the world's top league - the National Hockey league of North America - by Lord Stanley of Preston (Lancashire) and that the coolest game on earth is now as popular as football in Belfast and across Scandinavia, make ice hockey the natural sport of choice for Nationalists from North America to Europe. John de Nugent and Jack Sen discuss this interesting topic. Later this week we will be broadcasting former PEGIDA leader Tim Scott's first podcast. You won't want to miss it.